A graduate of Glasgow School of Art, John Macfarlane has also pursued a parallel career in painting, and has exhibited his works in galleries and museums across Europe. His works are in the collections of many museums, including Albertina, Vienna, National Museum of Wales and Kunsthalle in Nuremberg. 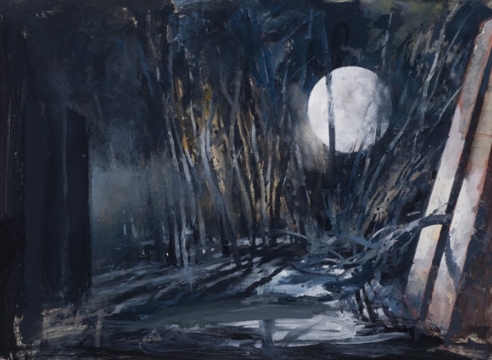 Maya Polsky Gallery presents an exhibition of John Macfarlane's stage and costume designs for his recent productions at Lyric Opera of Chicago: ELEKTRA, HANSEL AND GRETEL, and this year's upcoming production of RUSALKA (February 22 – March 16, 2014).